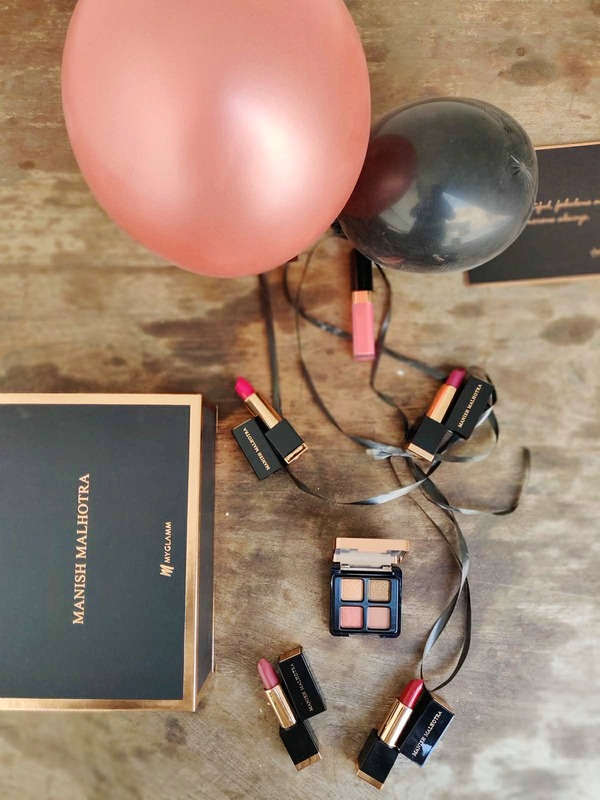 At the top of the list from the Manish Malhotra X MyGlamm collaboration would be the lipsticks, but in general if you're a make-up hoarder like myself (albeit one who pretty much only ever uses lipstick), this is worth having from a collector's edition point of view as well. The packaging is vintage and old-world glamorous (a sleek black with gold edging), and has eye palettes, lipstick, lip gloss, blush and highlighter sticks and nail paint. What I checked out was one of their 4-in-1 eye palettes (they also have 9-in-1 options) called Front Row, and I liked the texture, and how well it blended with flaking out on me. It had some great, gold-bronze hues. The lipsticks were the real sell for me, however. These creamy mattes didn't dry out in the course of the winter day (my favourite was the one I'm wearing in the picture—Ruby Runway), but they did need a liner to keep them in, well, line. They're great otherwise, but the downside to any creamy matte versus a super-dry one, however, is needing touch-ups, so be prepared. The colour payoff is worth it, though. The gloss was a touch sticky for my taste. However, I'm not really a gloss fan, so that might just be personal bias.